Chocolate and Heart Health: Is There a Connection? Dozens of headlines have proclaimed the health benefits of chocolate. But does it really measure up? A report published in the American Journal of Clinical Nutrition pooled studies to get the “low down” on chocolate’s effects on cardiovascular health and found that chocolate does indeed have many heart health benefits, including a few unexpected ones. 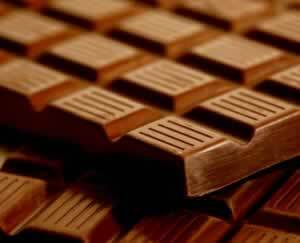 Researchers from the UK, Australia, and the US reviewed hundreds of studies on chocolate and cardiovascular health. They narrowed their analysis to 42 higher quality studies that included a total of 1,297 people. The goal was to highlight any reductions in heart disease risk from chocolate, cocoa, or a type of bioflavonoid found in chocolate (flavan-3-ols). All of the studies included in the analysis may have been biased, some because they were funded by the chocolate industry, and others because of less-than-perfect research methods. However, a few common threads were seen throughout. Insulin levels dropped significantly and insulin sensitivity improved in response to chocolate, a previously unreported connection. Insulin sensitivity refers to the ability of the body’s cells to respond appropriately to the insulin that’s in the blood stream. When people have poor insulin sensitivity (known as insulin resistance), blood sugar may stay at above-normal levels. Blood vessel function improved significantly, regardless of the amount of chocolate consumed. The authors attributed the increase to the flavan-3-ols found in chocolate. Studies have shown that for each 1% increase in flow-mediated dilation, the risk of cardiovascular events (like heart attack and stroke) dropped by 13%. “The 1.3% increase associated with chronic chocolate intake in this review would have important consequences for cardiovascular risk, and in combination with improved insulin sensitivity, cardiovascular effects may be substantial,” commented the authors. Diastolic blood pressure (the bottom number on a blood pressure reading) dropped by an average of 1.6 mm Hg after chocolate consumption. LDL (“bad”) cholesterol and triglyceride levels improved marginally, as did HDL (“good”) cholesterol. The review confirmed much of what was thought to be true about chocolate’s effects on heart health. It lowers blood pressure, improves insulin sensitivity, and improves flow-mediated dilation. But there are other ways to get these same great benefits, without the fat and sugar that often go with chocolate and which present other risks, such as weight gain. Here a just a few. Go for a walk. Or a run. Or a swim. Exercise is one of the best ways to improve insulin sensitivity, lower blood pressure, and increase your HDL cholesterol. Get green. Eating an abundance of green leafy vegetables like kale, collard greens, spinach, and chard can help you maintain an ideal weight, lower your blood pressure, and decrease your diabetes and heart disease risk. Go fish. Omega-3 fatty acids found in cold water fish like salmon can help improve flow-mediated dilation and lower your risk of heart disease. What types of salmon – alaskan, canadain, etc.